Bio: Saxophonist Matthew Tracy serves as Assistant Professor of Saxophone and Music Theory at Southwestern Oklahoma State University. He has performed as guest artist and clinician across the United States and has won awards in the Fischoff, Plowman, Coleman, MTNA and North American Saxophone Alliance chamber music competitions. As a student at Michigan State University, Tracy was awarded the College of Music’s highest honor, being selected as a winner of the Honors Concerto Competition. 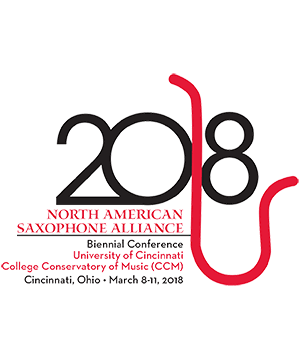 An advocate for new music, Tracy has premiered new pieces for saxophone by composers such as Reynold Simpson, Phillip Sink, Justin Rito, and Andy Francis. Tracy holds a Bachelor of Music degree from Central Michigan University, and Masters and Doctoral degrees from Michigan State University, studying with John Nichol and Joseph Lulloff.